Do you Need Help with R? Open source software can be a wonderful thing. Many experts claim that the only way of having polished, bug-free software is by having closed, proprietary, licensed software. But that is not the case, and there is plenty of evidence now. Nowadays in year 2017 there are truly amazing open source software projects, one of them being R, an amazing Statistics platform available to everyone. The use of scientific Statistics software was traditionally confined to the use of expensive software solutions, such as SPSS, SAS or STATA. These stats packages are well polished, robust and powerful tools, but they come with a high price tag, which is not accessible to all. Need Help with your R homework? 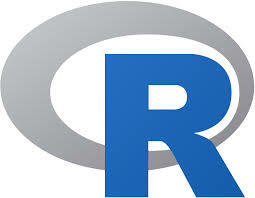 The main good thing about R is that is completely free. That is an almost unbeatable good point. But there is always a flip side: Open source software can may be a bit harder to use. Indeed, in terms of usability, commercial software like SPSS can be used through drop down menus and drag and drop items. R, on the other hand, needs to be used via syntax commands. As an R tutor, I find students that tell me that their instructor had decided to use R for the stats course. It can be a great relief for a student to know that there is no need to shell out money to buy SPSS, because they will use R instead. But many of them will find that they need help with the R homework, because they simply do not know how to make the software work. Where to Find R Help? The problem with R is that all the statistical operations are carried through syntax commands. And it is not that the syntax language used by R is particularly difficult. It is that syntax commands are like any other computer language: they are inflexible and don’t understand any departure from what the expects. Some people think that is the price you need to pay to use free stats software. But the truth is that syntax, once properly learned, is more powerful than using drop-down menus. In fact, many powerful features of SPSS cannot be reached through the graphical interface, and they NEED to be done through syntax commands. If you are lost with R, your first option should be to use the online resources available for you. You have your instructor, there are forums, tutorials. If that does not work, you probably will need to pay a tutor to teach you R. There are several paid options, including Chegg, StatisticsBrain and MyGeekytutor, just to mention a few. Open source communities work amazingly when they have a strong following base, like in the case of R. I would strongly advise you to lean R, learn the syntax. You will have at your fingertips the same power as the power you get with software that costs thousands of dollars.